Other photos: Photo 1, Photo 2, Photo 3, Photo 4, Manufacturer Provided Image, Manufacturer Provided Image, Manufacturer Provided Image, Manufacturer Provided Image, Manufacturer Provided Image, Photo 10, Photo 11, Photo 12, Photo 13, Photo 14, Photo 15, Photo 16, Photo 17, Photo 18, Photo 19, Photo 20, Photo 21, Photo 22, Photo 23, Photo 24, Photo 25, Photo 26, Photo 27, Photo 28, Photo 29, Photo 30, Photo 31, Photo 32, Photo 33, Photo 34, Photo 35, Photo 36, Photo 37, Photo 38, Photo 39, Photo 40, Photo 41, Photo 42, Photo 43, Photo 44, Photo 45, Photo 46, Photo 47, Photo 48, Photo 49, Photo 50, Photo 51, Photo 52, Photo 53, Photo 54, Photo 55, Photo 56, Photo 57, Photo 58, Photo 59, Photo 60, Photo 61, Photo 62, Photo 63, Photo 64. Freshwater, Joystick docking, Original owner, Engines have 313 hours. Custom drawer refrigerator and freezer in salon. Pictures show how super clean and well cared for this boat is. 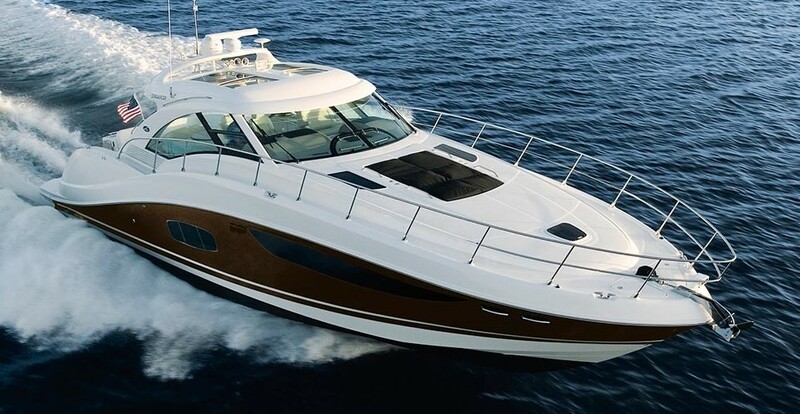 Our 540 Sundancer takes signature sleekness and purposeful design with Cummins QCS600 Zeus Pod propulsion. A centerline helm enhances visibility and pivots to face the starboard lounge at rest, while in the cockpit a transom "sun gate" opens to extend the sun pad. Inside, the redesigned sofa and new hinged table improves comfort, as does the new deluxe décor.